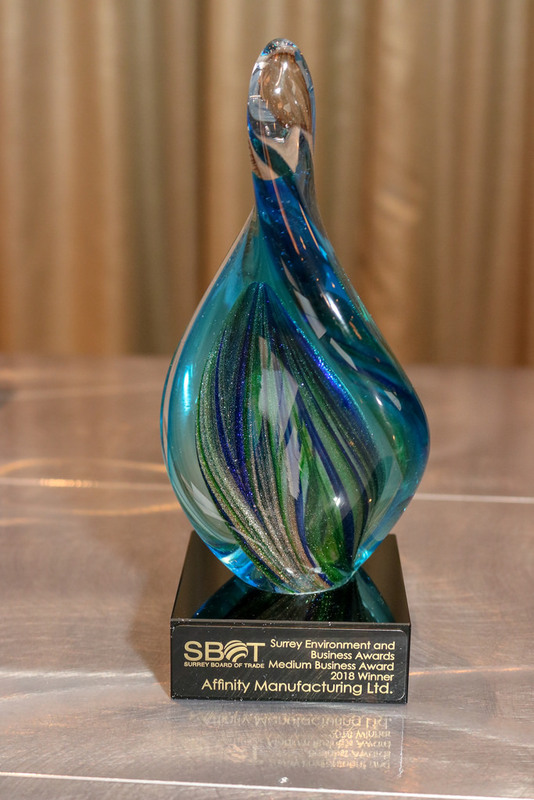 Powertech Labs Inc. has won the 2018 Surrey Board of Trade (SBOT) Environment and Business Award in the Large Business Category. The award recognized the company for its project “Infrastructure for the Electrification of Light Duty Transport,” which focuses on the design and building of hydrogen fueling infrastructure and the deployment of an electric vehicle (EV) charging station network. The award was presented in a ceremony at the SBOT on 27 September 2018. The Surrey Board of Trade Environment & Business Awards are presented to Surrey-based businesses or Surrey Board of Trade members who have demonstrated exceptional dedication to environmental leadership and/or issues. This may take the form of hands-on-work through recycling, promoting environmental awareness or education, pursuing ground-breaking environmental research, innovative environmental technology and/or partnerships with the community to promote the environment. The Surrey Board of Trade attracts business to Surrey and supports business in Surrey. The Board provides businesses and organizations with economic opportunity, workplace development and education, international trade, government advocacy and business connections. For more information contact Madhvi Ramnial, 604-590-6671, madhvi.ramnial@powertechlabs.com.